Information and photos kindly provided by Mr J Ashfield. My mother was married to Harry Clarke in 1939 he was killed on April 11 1941. They lived at 31 Humber Road Stoke Coventry. He was an Air Raid Warden. My mother recalled the story, she told me that during the attack Harry was getting my mother and his daughter Mary to the air raid shelter when a landmine exploded. He was killed out right taking the full blast. 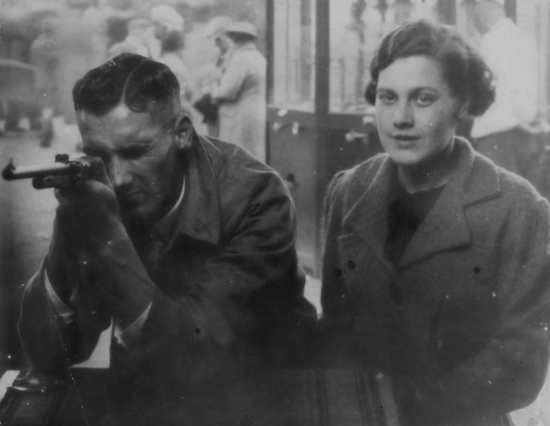 My mother with babe in arms was propelled into the air raid shelter and survived. There being no body to bury there is a plaque and a memorial tree, something that now puzzles me is a death notice in the local paper as my mother told me he had no brothers and his family had all died. 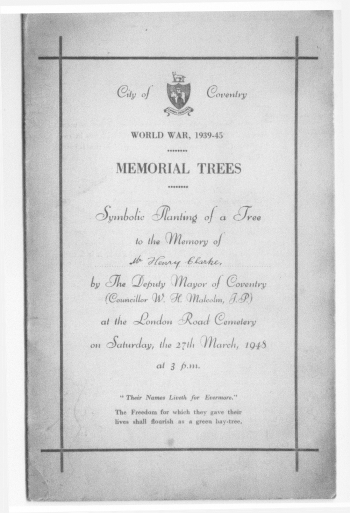 Clarke – On April 11, 1941, Harry, beloved husband of Cicely and daddy of baby Mary; aged 28. Sadly missed. "Duty called; well done. God's will." 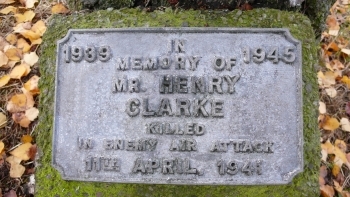 Clarke – On April 11, 1941, harry, aged 28. – Sadly missed by Dad, Mam, brother, and sisters. "Duty well done. Lest we forget." We Remember the Blitz is packed with vivid recollections from this important time in British history. Waking up in a damp shelter to the sound of bombing. Coming out of a cinema to discover that fires made night as bright as day. And, worst of all, the shock of seeing individuals and whole families killed in an instant. 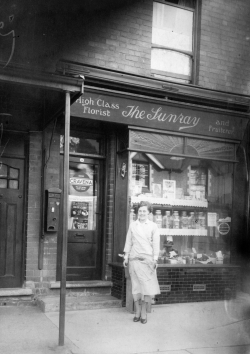 We hear from many who were there to pick up the pieces: ARP wardens, firemen - even the bakers, who would return to work under tarpaulin to ensure their neighbours had their daily loaf. Filled with moving but often funny memories, We Remember the Blitz is a celebration of the British spirit, and clearly shows that the battle for Britain was won by 'the many'.